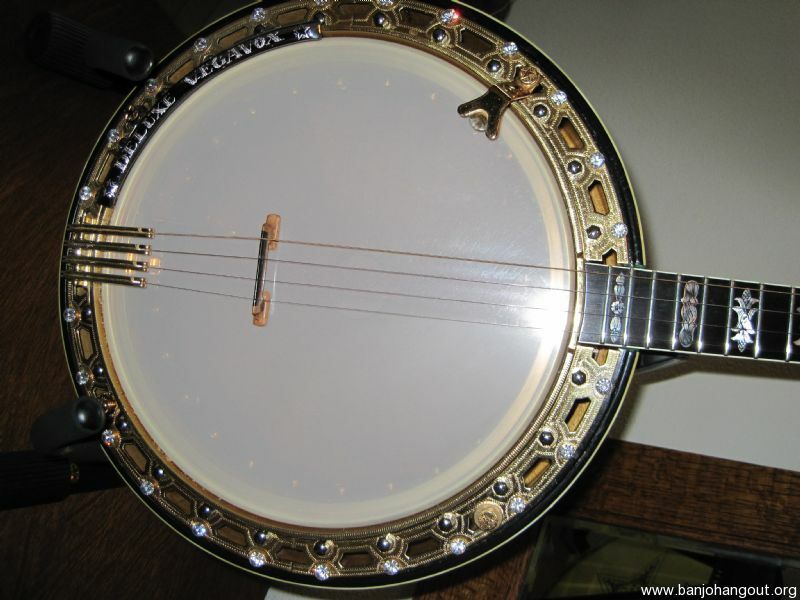 This banjo was restored and upgraded by Renee Karnes. 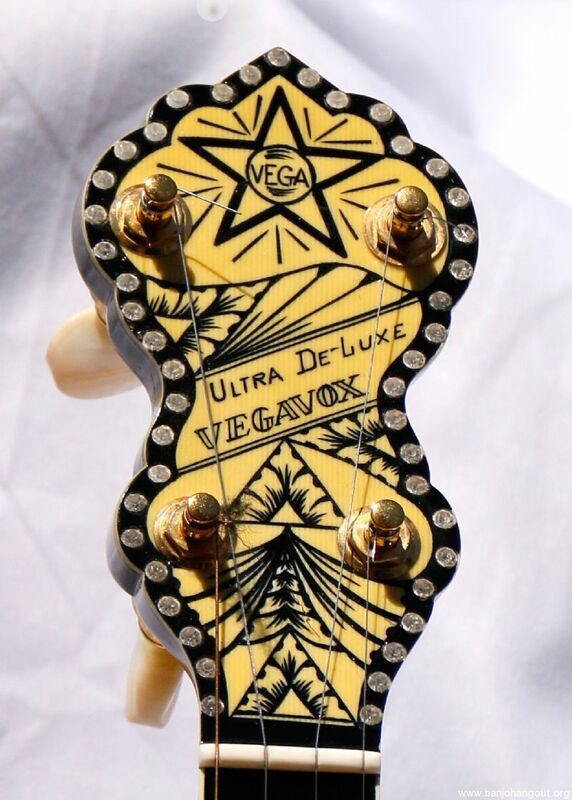 The resonator and peghead have a rare Vegavox design engraved in ivoroid. 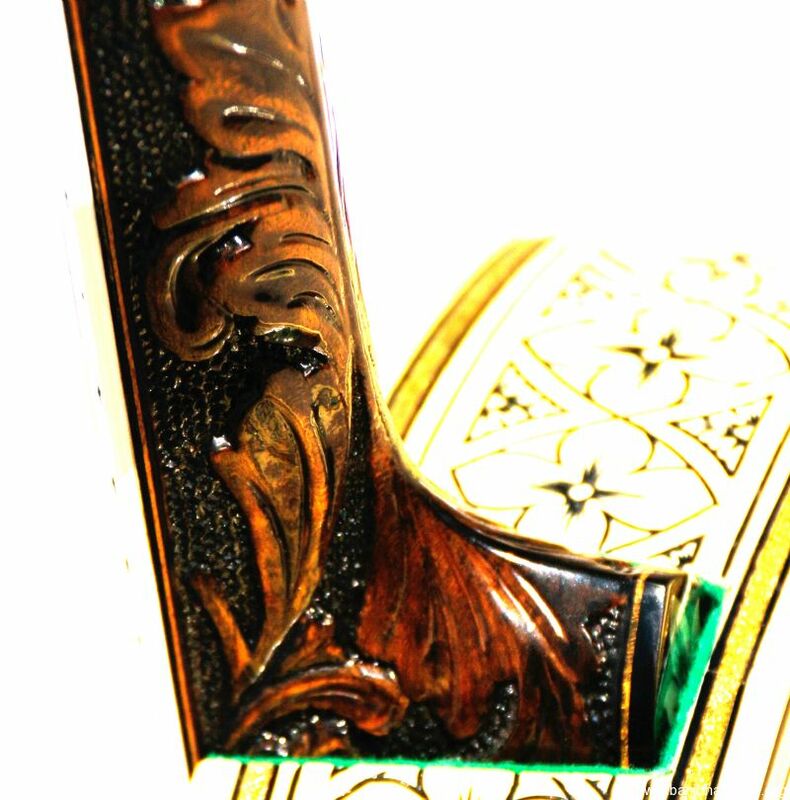 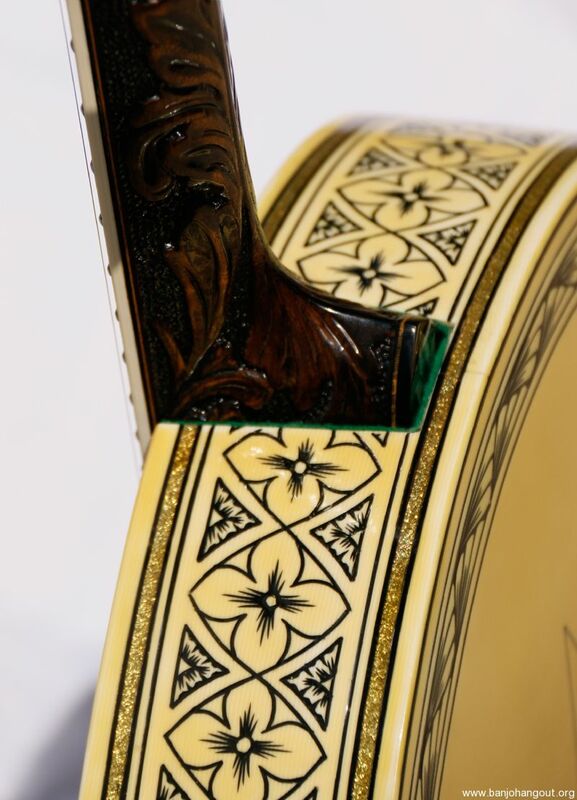 The fingerboard has vintage pearl inlays. 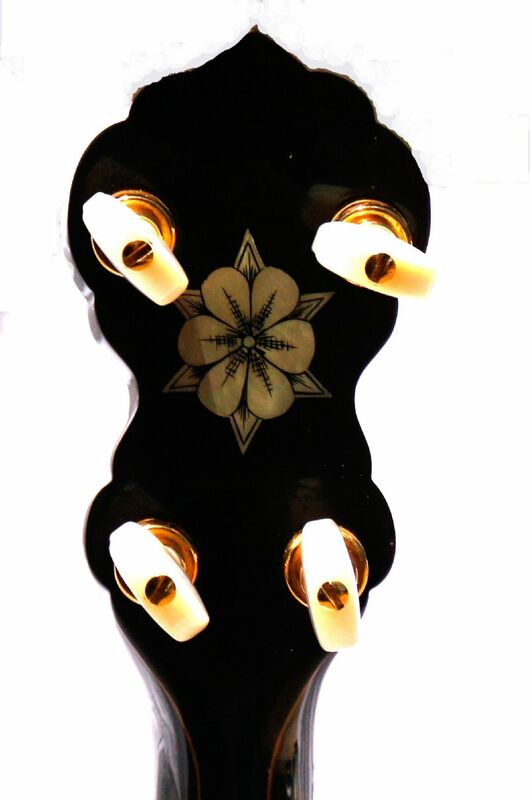 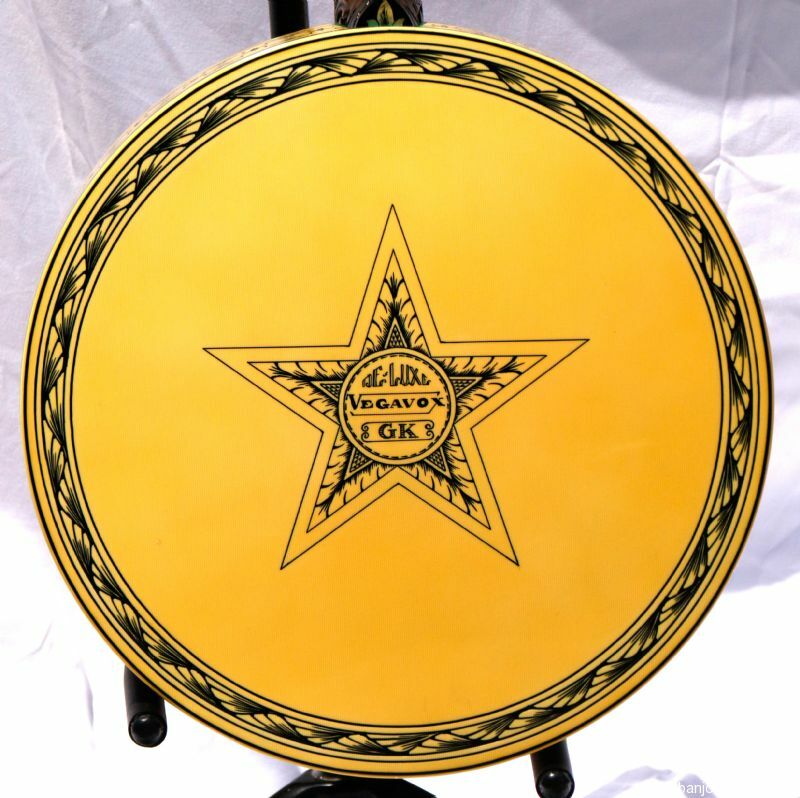 The metal parts are engraved and gold plated except for the tension bolts which have been chromed for contrast. 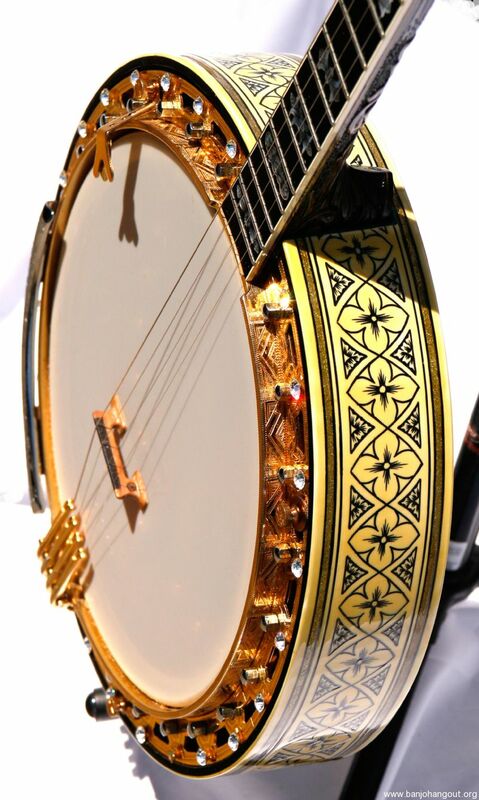 It has a tubaphone tone ring and a 4-finger Renee tailpiece.